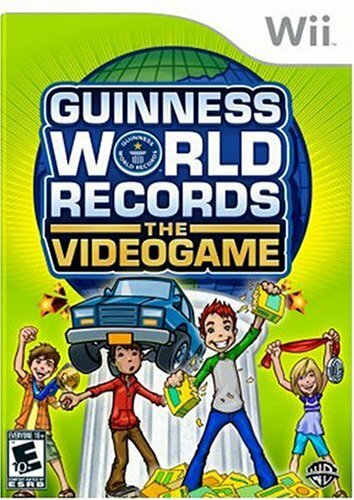 Have you ever wanted to set a world record? Sure, you’ve read through the GUINNESS BOOK OF WORLD RECORDS and contemplated what you could do for fame and infamy, whether there was any category of achievement or secret skill that you may have that would qualify for inclusion in the next edition. And sadly, while there are thousands of possible records that are recognized as Official World Records, there are also those activities that deserve to be included in some sort of World Record Database – ANY database will do, especially when it’s something as mundane as seeing how long you could throw a ball around the apartment with your friends without letting it hit the ground. Because until someone else comes along and does the same thing in your apartment, it’s still going to count as a world record. If only there was some way to record and report these types of things without having to go through an official documenting body, such as Guinness.Well, now you can. Thanks to the UNIVERSAL RECORDS DATABASE, anything you can do at a world-record level can be recorded and included for all to see and challenge to best. And these are just a small sampling of what already has been done. As you can see, anything that you can think of can qualify as a New World Record. Until someone else comes along and breaks it, of course. But half the fun is trying, isn’t it? How Fast Can You Send a Text Message? Controversy at the 2010 World Fastest Texting Championships? Who knew that texting could be this exciting? This WEB WATCH entry was posted in Funny, sports, Websites and tagged sports, website, World Record on June 13, 2010 by web gangsta.